The next episode is coming so soon! It is recording tomorrow, so you’d better come! Check out the Facebook event here! 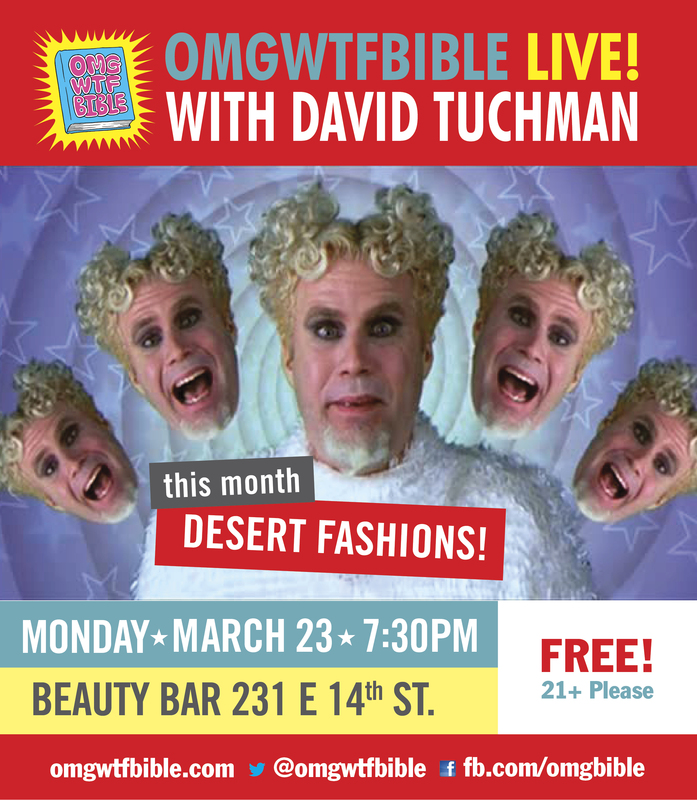 This entry was posted in Announcements, Live Shows and tagged atheism, beauty bar, bible, comedy, exodus, funny, jew, joke, jokes, judaism, live event, live show, new york, new york city, ny, nyc, omg, omgwtfbible, podcast, priest, rachel coleman, religion, stand-up, tanakh, torah, wtf by omgwtfbible. Bookmark the permalink.